Want to see Mountain Nature better protected? With more visitors than the Grand Canyon, the Mont Blanc does not really need to be introduced as a high flying international natural site for tourists (6 million/year), many of them (about 1 in 5) moving around its slopes by means of impressive mechanical installations. While news of its valleys spread over the media front pages with peaks of pollution equaling or exceeding those of large cities, a quiet revolution is under way on its flanks. The French side of the mountain is served by two main facilities: the “Montenvers” train which provides access to the “Mer de Glace”, and the “Aiguille du Midi” cable car, a direct entry point to the high mountains. On the Italian side, the Aosta Valley has suffered for decades from the obsolescence of its infrastructure that prevents it from capturing the envied tourism windfall of the Chamonix Valley. 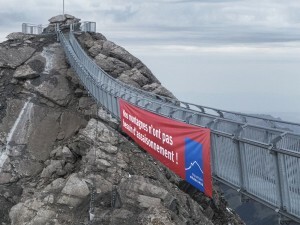 A light wire sustains the “Vallée Blanche gondola” linking the “Aiguille du Midi” to “Helbronner”. During 2015 all these facilities will be provided, at various levels, with new gimmicks to attract customers. Global warming, the erosion of a traditional customer base, necessary upgrades to new safety standards, unbridled competition between mountain resorts to keep existing clients and capture new visitors, especially international ones, are pushing operators to renovate their mechanical infrastructure to make them more attractive. We see the operators evolving toward a new status of “solutions providers” featuring more and more fancy entertainment structures. 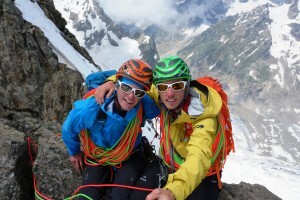 In this way, the Italians want to completely revamp the cable way installations linking Entrèves / Courmayeur to “Punta Helbronner”. At the suggestion of the Italian Institute of Culture in Addis Ababa and with funding from the Italian Development Cooperation, the Mountain Wilderness Italy association is planning to organize, during the months of February/March, an introductory course on trekking management in the Gheralta Mountains of Tigray. – To ask for an rapid implementation of a harmonized, cross-border regulation of the range overflights. 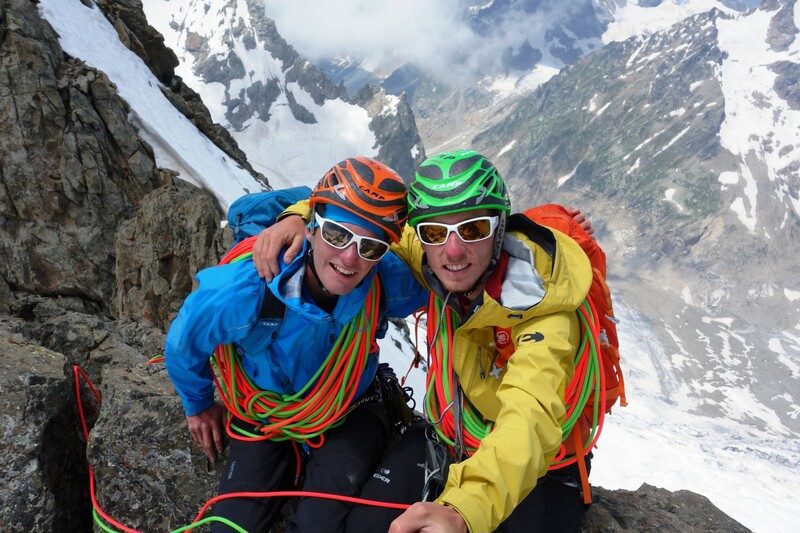 This Great Alps crossing is a long travel route that should lead the team, starting on February 2015, from Monte Cinto in Corsica to the Slovenian Triglav. It will be all done, without motorized means. Various options will be explored as offered by soft mobility means to rally the jewels of the Alps. From sailboat to paragliding, skiing or hiking. The various natural elements will drive the participants from wall to wall, allowing them to express a Mountain Wilderness mountaineering refreshing vision. The unique connections of aesthetic openings and great historical climbing routes will guide their journey during 5 months. 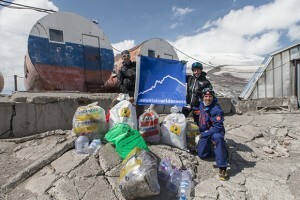 After Dhaulagiri in 2003 and Aconcagua in 2008, Breffni BOLZE, Philippe GOITSCHEL and Jean-François ROSSILLON are back from their cleaning expedition on Mount Elbrus (Russia), Europe’s highest summit, a dormant volcano. Paulo Grobel, a free lance to several mountains magazines, a Mountain Wilderness International Guarantor and a fine connoisseur of the Himalayas, especially Nepal, has launched a new original project : the “Sherpa Women expedition”. In partnership with Salewa, the project was launched in 2011. 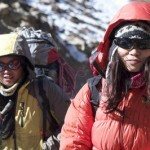 For the end of this year the mountain guide has invited five Western women climbers to rope up with as many Nepalese counterparts. 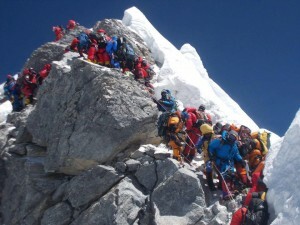 The goal, after learning proper mountaineering techniques, will be to climb a summit such as the Tharpu Chuli (5663 m) in alpine style, in the heart of the Annapurna Sanctuary.